U18s had a spectacular summer with a Championship in the Sharkfest and a Bowl win at the North American Invitations 7s in Utah. 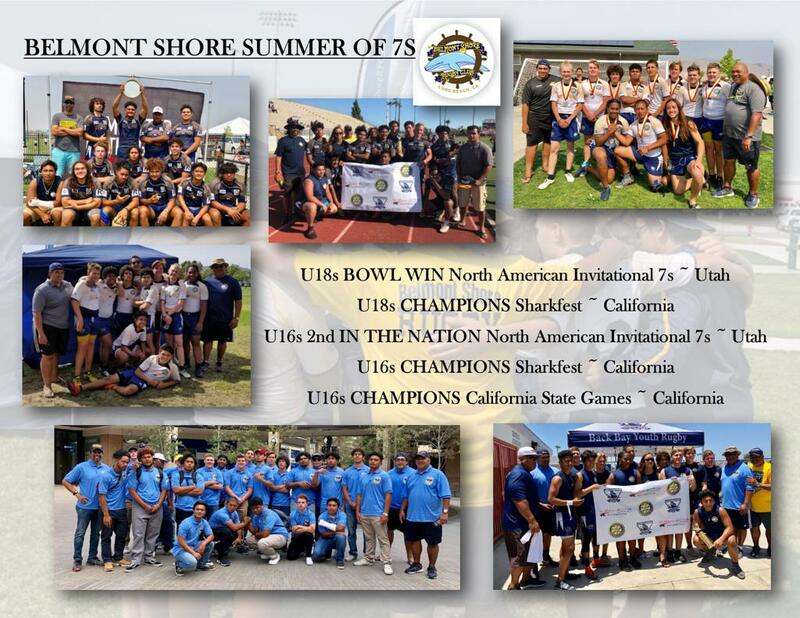 U16s had a spectacular summer as well...Taking the championship in the Sharkfest, taking the Championship at the Cal State Games and taking 2nd Place in the Nation at the North American Invitational 7s in Utah. Very proud of these boys and their accomplishments this summer. Till next year, have a great High School and Club Season 2018-2019.